I hope you are having a great week! 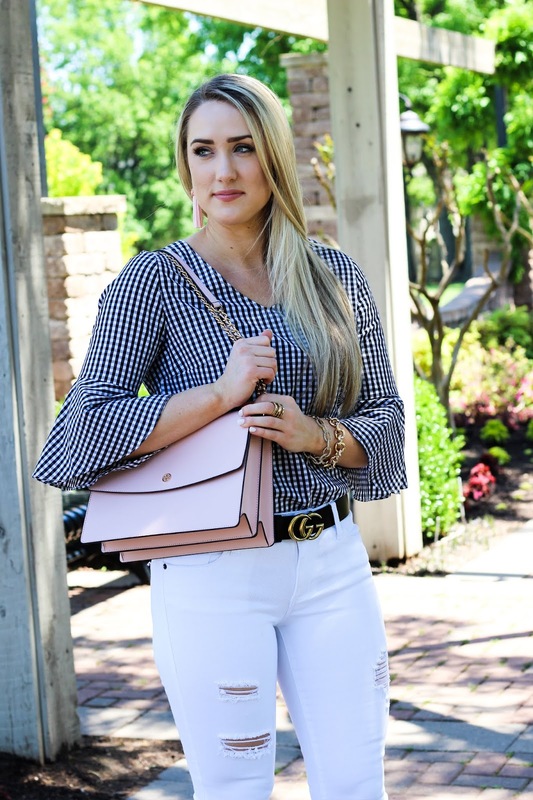 Finally getting around to posting again, and I am so happy it tis this gingham top! 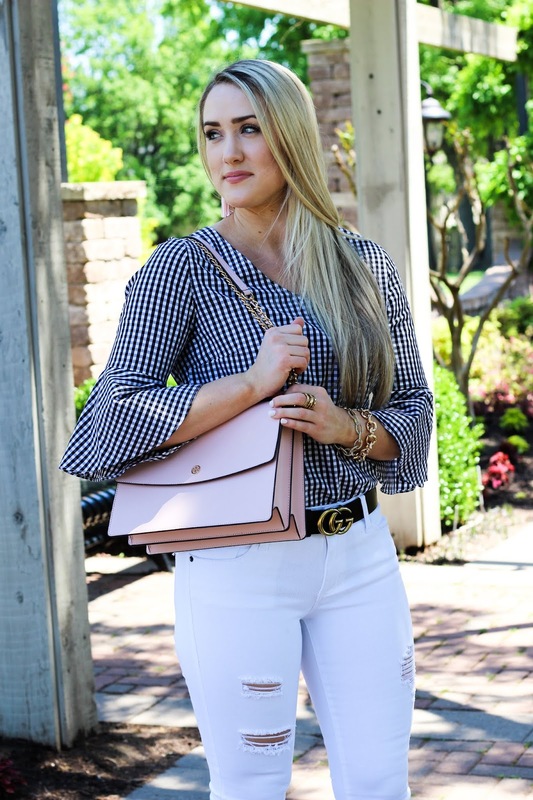 I LOVE gingham all year round, but I especially love it in the summer! I found this exact one at my local Marshalls, but I have some options linked that are identical! 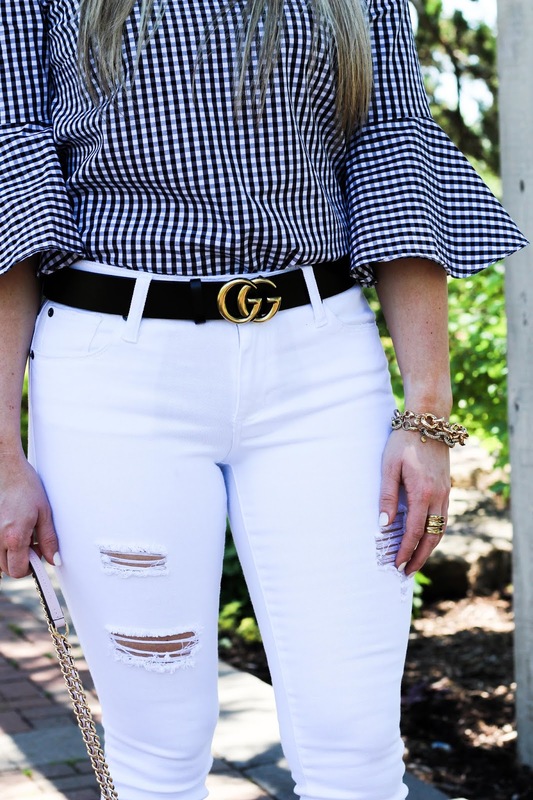 Also, these white jeans have been worn on repeat lately! I love the distressed detail and the frayed hem. SO cute! Every girl needs a good pair of white jeans! It is summer, but I am taking 4 classes, so school takes up a lot of my time, thats why I've been slacking in the blog department! I do have quite a few outfits I want to post, though! I would like to get some photos taken this coming weekend! So stay tuned!